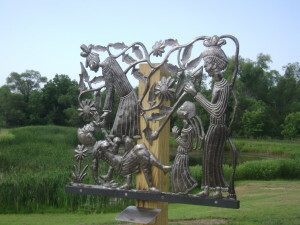 heridan’s campus is home to 15 handmade Stations of the Cross, previously featured in the Lincoln Journal Star. 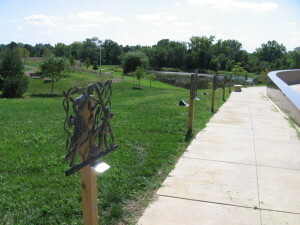 These stations are located around the perimeter of Sheridan Columbarium and Outdoor Worship Center behind the building. These stations, constructed from oil drums by Haitian artisans and display the last few days of Jesus’ life on Earth, can serve as a prayer walk and are accessible for all mobility types. It is easiest to park closest to entrance #1 and enter via the paved sidewalk along the side of the building.